It is literally mind-boggling how rapidly each fantasy season progresses from the anticipation and optimism of Week 1 to the inevitable conclusion in December. Congratulations to those of you whose diligence through the draft process and the regular season has been rewarded with an opportunity to play for your league's championship. If you have embraced the unique challenges of participating in a league that incorporates Week 17 matchups into the championship equation, you now have one final week to remain unwavering in your efforts to examine which backs are most likely to strengthen your chances of winning your league. 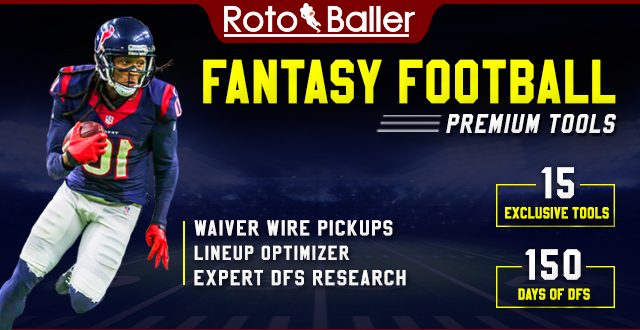 This includes examining the matchups for any runners that you have located on the waiver wire or are already contained on your roster. Because it is important to establish which players will be performing against formidable defensive units, and which runners will have the benefit of lining up against vulnerable opponents. This article will assist you in locating the running backs that will be beneficial to your championship aspirations. These recommendations will appear in three tiers - beginning with the most enticing and progressing to runners that are available if you are contending with desperation. You will also find a group of backs that can be dropped in order for you to secure your replacements. Here are the most viable waiver wire options at the running back position. Good luck to everyone this week. These backs should be your top priorities among the runners that are available on most waiver wires. 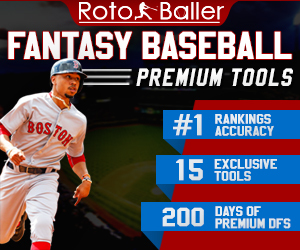 Some will be more beneficial in PPR formats than standard. 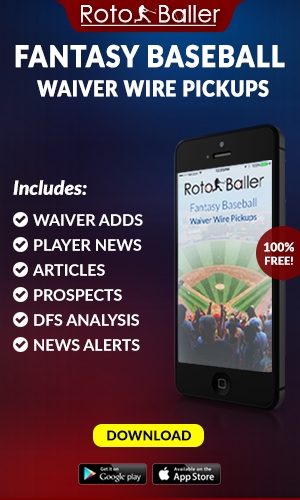 All players have 60% or less ownership in typical fantasy leagues. If you are a Todd Gurley owner, you might have diligently planned for the possibility of suddenly losing him to injury by securing Malcolm Brown as a handcuff from Weeks 1-13. Then, you may have continued to protect your investment by adding John Kelly immediately before the fantasy postseason. But the events of Week 16 unleashed an unanticipated development when Anderson exploded for 167+ yards and a touchdown on 20 attempts against the Cardinals. Anderson had been signed by the Rams on the 18th and had only manufactured 104 yards throughout the entire season. But he maximized his opportunity as the team’s starter, and now becomes an outstanding roster addition amid uncertainty concerning Gurley’s knee. Anderson should operate as Los Angeles’ RB1 against NFC rival San Francisco if Gurley is out, and could easily accrue touches this week even if Gurley returns. He is unquestionably a back to target. Even though the ownership for this second-year back is officially on the boundary for inclusion among the weekly waiver wire additions, the unusual circumstances that are inescapable in Week 17 roster decisions make him an enticing addition for anyone who finds him available. McGuire accumulated 85 total yards and two touchdowns against Green Bay in Week 16, which included a season-best 50 yards as a receiving weapon. 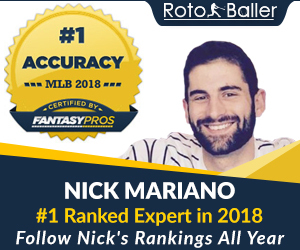 This underscored his potential to generate fantasy points as a dual-threat back, as he has now assembled 239 total yards since he began operating as the Jets' RB1 in Week 14. He has also averaged 19.3 touches since ascending into his current responsibilities, and owners can retain confidence that he will receive a sizable workload again this week - which is something that nearly all other backs who are currently available cannot replicate. This solidifies his status as a viable starter who can deliver favorable production during your championship week. Matt Breida’s protracted ankle issues were perpetuated in Week 16 when the latest setback forced him from San Francisco’s matchup with Chicago. That lifted Jeff Wilson Jr. back into a substantial role, and with Breida now unable to perform as the lead back this week, Wilson will assume that responsibility when the 49ers face the Rams. Wilson assembled just 38 yards on 13 touches against the Bears. However, he did demonstrate the ability to generate more favorable numbers when he accumulated 230 total yards with his 47 touches in Weeks 13-14. Breida's absence provides an opportunity for both Wilson and anyone who owns him, as he is now primed to commandeer a sizable workload. That should compel you to secure him from your waiver wires, as that will enable you to start a feature back in your Week 17 lineup. These backs remain available on the waiver wire but are not necessarily must-adds. If you have initial misgivings about trusting a 35-year old running back in your championship game it might be helpful to remind yourself that the Eagles have complete confidence in deploying him extensively as they attempt to qualify for the postseason. Sproles led Philadelphia in rushing during his Week 16 matchup with Houston and generated 76 receiving yards and a touchdown by collecting three of his six targets. He has now produced a touchdown in three of the Eagles' last four contests and is a strong candidate to score once again during this week's matchup with Washington. Sproles is performing effectively and is being provided with opportunities to accrue yardage and touchdowns. That elevates his stock beyond the majority of your options this week. As you progressed through your draft process during the warm days of summer, your championship aspirations did not include making sure that Zach Zenner was included on your roster. Yet here you are, with a league title just beyond your grasp, and Zenner has emerged as a feasible flex option. The fourth-year back was hardly a consideration even in the deepest of leagues before he vaulted beyond LeGarrette Blount on Detroit’s depth chart in Week 14. Zenner has rushed for 144 yards on 30 attempts during the Lions’ last three contests while rendering Blount as an unnecessary component for both the Lions and his owners. He has also accumulated enough yardage with his carries to elevate him into Week 17 relevancy if you are encountering lineup challenges this week. We have been reminded frequently throughout the season that the fantasy landscape can be altered quickly and dramatically. This is been particularly true at the running back position, and we have been presented with another example entering Week 17. Tevin Coleman rushed for 51 yards in Week 16 before a groin injury forced him to the sidelines. With Ito Smith also unavailable after undergoing knee surgery last week, fifth-round pick Brian Hill suddenly became Atlanta's lead back. 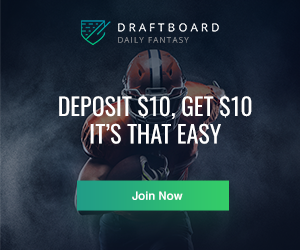 Hill proceeded to shred the Panthers for 115 yards on eight attempts (14.4 YPC) while emerging within the fantasy radar as an appealing roster addition. It is hardly surprising that he is available in all leagues, and could be functioning as the Falcons' RB1 this week against Tampa Bay. This group consists of running backs that can be added if you consider your situation to be desperate due to injuries or byes. Chris Carson has evolved into a dependable RB1 for Seattle. But with Rashaad Penny unavailable (knee), Davis has proven that he can produce respectable numbers with the remaining workload that is not designated for Carson. Davis has accrued 115 total yards on 20 touches in Weeks 15-16, and the Seahawks' preference for infusing significant involvement by multiple running backs into their weekly game strategy provides a sufficient number of opportunities for Davis to deliver favorable results. Penny’s health should be monitored throughout the week, as any return to a three-back approach would divide the opportunities for both Davis and Penny to a level that should be avoided during this critical week. However, if the Seattle backfield mix ultimately contains only Carson and Davis, then Davis can be deployed as an RB3/flex when the Seahawks host Arizona. Owners of both Sony Michel and James White undoubtedly would have preferred that the constitution of New England's backfield had not been altered this season, as Michel's usage as a rusher and White's deployment as a receiving back had provided anyone who started them with consistent scoring. But Burkhead resurfaced in Week 13, which has altered the distribution in usage for all three Patriot backs. That had not equated to a sizable touch total for Burkhead until Week 16 when he received more opportunities than White (17/10), and nearly matched the touch total of Michel (18). Burkhead also accrued a season-high 79 total yards, which creates an ambiguous situation for owners of White and Burkhead heading into New England’s regular-season finale against the Jets. Burkhead is confiscating enough touches in the Patriot offense to warrant legitimate consideration as a waiver wire target for anyone who is contending with lineup issues at the flex position. This recommendation arrives with the caveat that it is necessary to monitor Austin Ekeler's status throughout the week. Even though Melvin Gordon will be operating as the Chargers’ clear RB1, there will be touches distributed to at least one other back when Los Angeles faces Denver in Week 17. Jackson may have already convinced the coaching staff that he should receive opportunities each week regardless of Ekeler's availability, as he has accumulated 305 total yards during the Chargers’ last five contests. That includes his 47 receiving yards on seven receptions in Week 16 while Ekeler was sidelined with his neck issue. Still, relying on Jackson is a risky proposition if Gordon, Ekeler and Jackson are all active this week against the Broncos. But if the backfield consists of Gordon and Jackson, then the rookie should be allotted enough opportunities to be worthy of flex consideration. These backs can be dropped in order to secure an RB with greater potential to bolster your scoring this week. The meteoric rise in Derrick Henry’s production since Week 14 (492 rushing yards/7 touchdowns) has been bolstered by the opportunity to function with massive workloads in his last three games (71 carries). While he has supplied enormous dividends to anyone who has started him, the yardage and touchdowns that he has stockpiled have not only threatened the championship hopes of anyone who matched up against his owners, but they have also demolished the value of Lewis. The former Patriot has only been entrusted with 8 touches-per-game during the Titans’ last two matchups, after averaging 17.8 per-game from Weeks 7-12. That includes the season-low six touches that he received in Week 16. Henry should commandeer the vast majority of attempts this week when Tennessee contends with AFC South rival Indianapolis, while Lewis is simply not touching the ball with enough frequency to deliver the numbers that you need. The concern regarding Adams has nothing to do with talent. Instead, the issue is his declining usage and the likelihood that his constrained role within a congested backfield makes it impossible to start him. He was allotted 42 carries in Weeks 13-14, but that number plummeted to an average of 9-per-game in Weeks 15-16. Adams is not utilized as a receiver, and there is no guarantee that Sproles and Wendell Smallwood won't confiscate enough carries to limit Adams' opportunities to an unacceptable level. The fact that Jacksonville opted to include Yeldon among their healthy scratches in Week 16 should eliminate any inhibitions that you might have about including him among this week's drops. Yeldon's role as the Jaguars' pass-catching back was filled by a cluster of options including Leonard Fournette, and it is wise to expect a similar scenario when Jacksonville conclude its extremely disappointing season at Houston. He has only garnered double-digit touches once since Week 7, and the Jaguars have discarded him from the list of integral components in their strategic plan. That leaves you with no reason to retain him on your roster during this crucial week.